1. 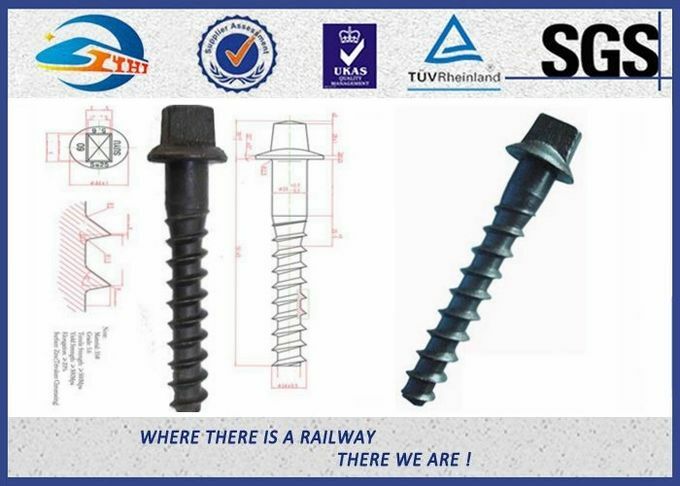 We produce the rail sleeper screw spikes for the USA with the standard ASTMA66-87, cold bending 90 degree without cracks. Standard strength 65000PSI or high strength 100000psi is available. Length: 5-1/2", 6", 7", 8", 10"
A taper of 1mm in the core and thread diameters towards to the point of the screw over the portion shown parallel is allowed, provided the tolerance on the diameter at the upper end is not exceeded. The material for the rail sleeper screw is complying with British standard N 15-1961. 3. 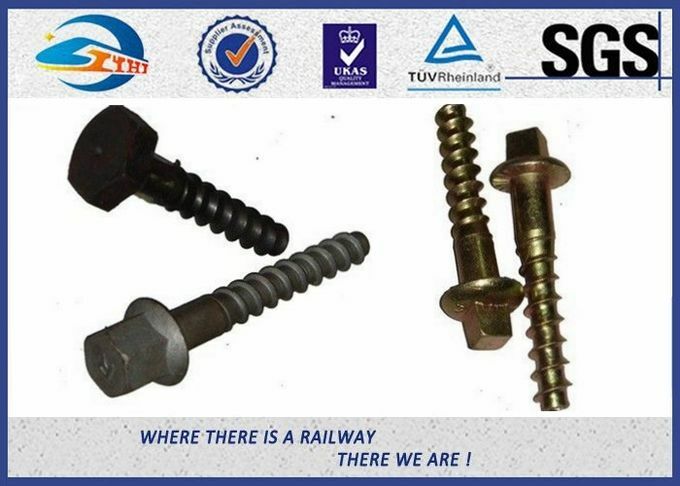 Sleeper screw 3V meets with NF F50-006, Grade 4.6 and 5.6. 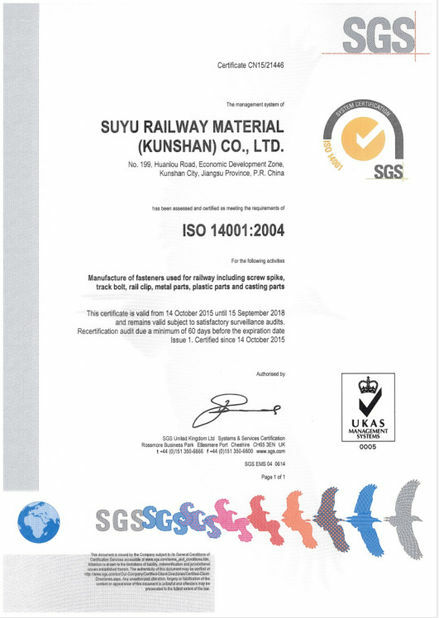 The mechanical properties are in accordance with NF F 50006, tension strength 700MPA (min), elongation 12% (min), and cold bending 30 degree without crack. 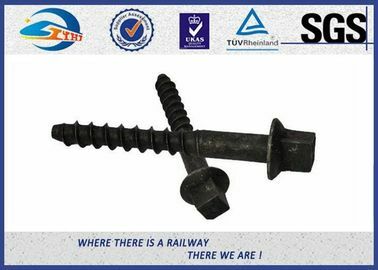 Full size carbon steel screw spikes shall stand being bent cold 45degree around a pin three times, the spike's diameter without crack on the outside of the bent portion. 8.Timber drive spikes can reduce installation and maintenance costs. 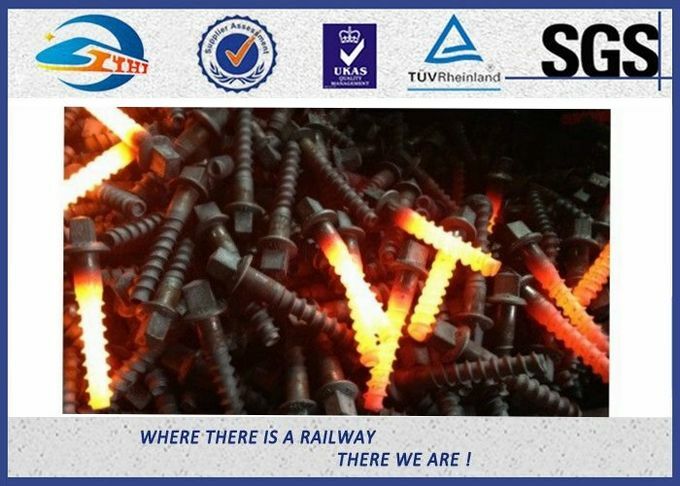 The spikes are used for timber construction highway crossing planks and panels, bridge and trestle guard rails, motor car set-off, docks, etc. 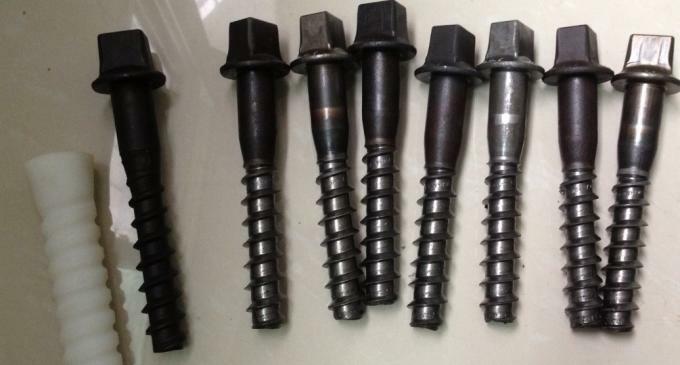 The washer head is single forged and the excellent holding power of threads provides tight installation. The spikes are easily installed, driven with a maul or pneumatic spike driver. They cannot be overdriven and are easily removed for reuse with a hand or power tool. The drive spikes are available for a wide variety of installations and maintenance of way, and meet with the standard ASTMA66-87, cold bending 90 degree without crack.